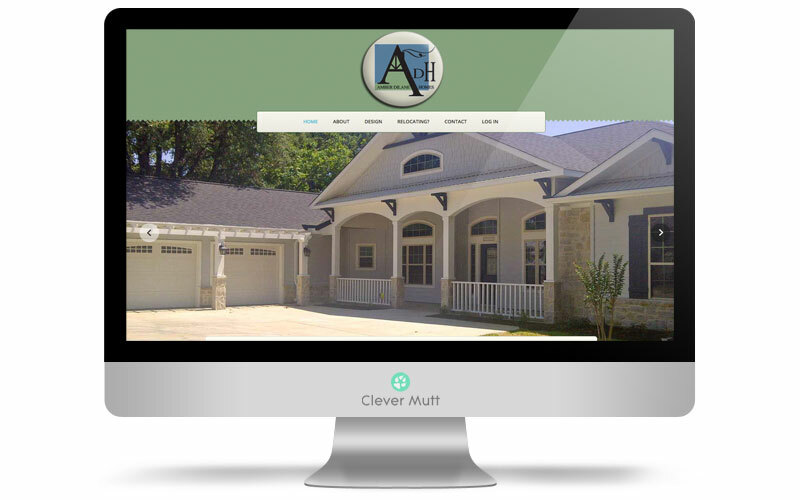 Amber DiLane Homes hired Clever Mutt to create a brand new website powered by the Clever Mutt Portal custom web content self-management system. 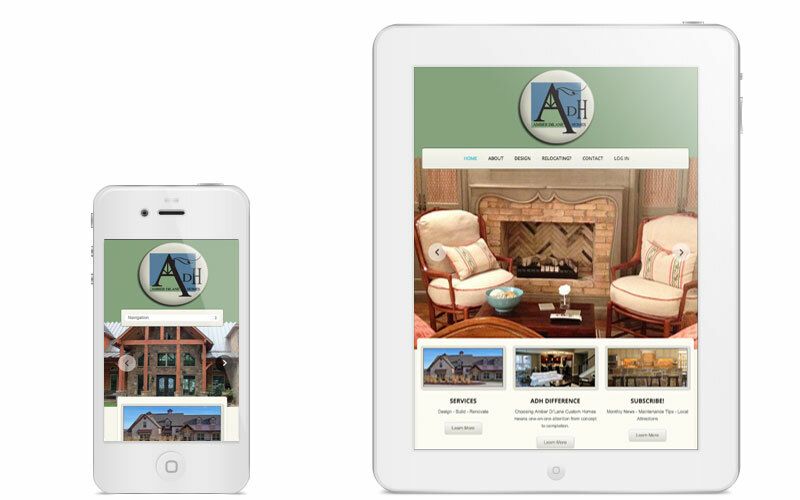 The new site is mobile responsive, contains galleries, albums, articles, and custom client login and content access with secure account management. 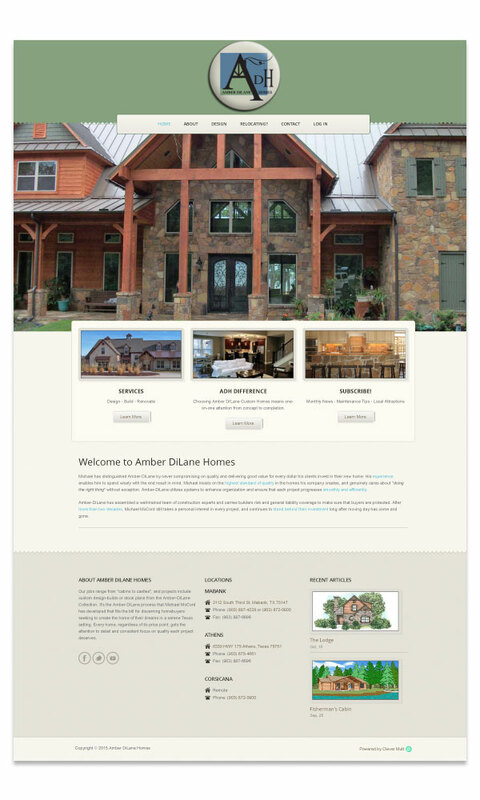 Amber-DiLane has become a premier "build on your lot" builder with 21 years of experience and over 400 projects. They are professional, confident and inspired about what they do. Their jobs range from "cabins to castles", and projects include custom design-builds or stock plans from the Amber-DiLane Collection. It's the Amber-DiLane process that Michael McCord, owner, has developed that fits the bill for discerning homebuyers seeking to create the home of their dreams in a serene Texas setting. Every home, regardless of its price point, gets the attention to detail and consistent focus on quality each project deserves.